Born in 1795 in the Tonkinese town of Bac-Nihh in North Vietnam, Tran An Dung was the son of pagan parents. In search of work for themselves in 1807, his parents moved to the ancient citadel of Hanoi. Here their twelve-year-old son was taken care of by a catechist and for three years was instructed in the Catholic faith. Baptized in Vinh-Tri, he received the Christian name Andrew (Anrê) in baptism and went on to learn both Chinese and Latin and himself became a catechist. 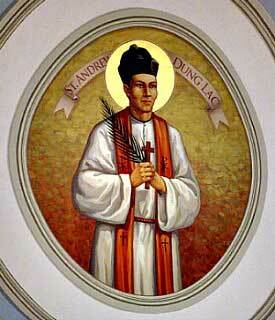 He was selected for further studies in theology and was ordained to the priesthood on March 15, 1823. An exemplary pastor, Andrew was ardent and indefatigable in his preaching, often fasted, and drew many to the Faith by his simple and moral life. As a testament of the love which his congregation had for him, in 1835, when he was imprisoned during the persecution of the Annamite emperor Minh-Mang, his freedom was purchased exclusively by donations from his parishioners. The Vietnamese Christians suffered unspeakably during this time. Beginning in 1832 Minh-Mang expelled all foreign missionaries and commanded all Vietnamese Christians to demonstrate their renunciation of the Catholic Faith by trampling on a crucifix. Churches were destroyed; religious instruction was forbidden. Christians were branded on the face with the words ta dao (false religion) and Christian families and villages were obliterated. Many endured extreme privations and hardship; many more were put to death for their fidelity to the Faith. To avoid further persecution by the authorities, Andrew Dung changed his name to Lac and relocated to a different region. While visiting a fellow priest, in order to confess himself, Dung-Lac was arrested with Father Peter Thi on November 10, 1839. In exchange for a monetary ransom paid to their captors, the two priests were liberated, but their freedom was short-lived. Re-arrested not long afterwards, they were taken to Hanoi and severely tortured. They were beheaded shortly before Christmas Day on December 21, 1839. The priests, Andrew Dung-Lac and Peter Thi, were beatified on May 27, 1900 by Pope Leo XIII and formed part of a group of Vietnamese martyrs beatified together on that day. 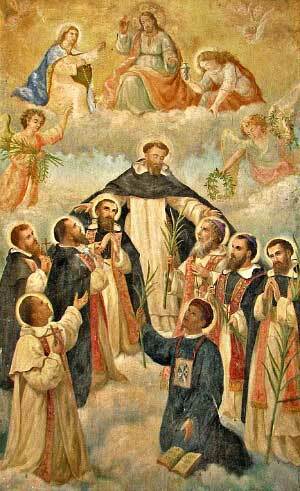 Another group, Dominicans all, was beatified on May 20, 1906 and a third on May 2, 1909 both by Pope St. Pius X. A fourth group, which included two Spanish bishops, was beatified on April 29, 1951 by Pope Pius XII. All 117 martyrs were canonized in Rome on June 19, 1988 by Pope John Paul II. These 117 martyrs met their deaths during several persecutions of Christians that swept through the Vietnamese peninsula between the years 1625 and 1886. Approximately 130,000 gave their lives for the Catholic Faith and further beatifications may be expected from amongst their glorious ranks. Among the 117 that have been canonized were 96 Vietnamese and 21 foreign missionaries. Of the Vietnamese group 37 were priests and 59 were lay people, among whom were catechists and tertiaries. One of them was a woman, mother of six children. Of the missionaries 11 were Spaniards: 6 bishops and 5 priests, all Dominicans; and 10 were French: 2 bishops and 8 priests from the Société des Missions Etrangères in Paris. 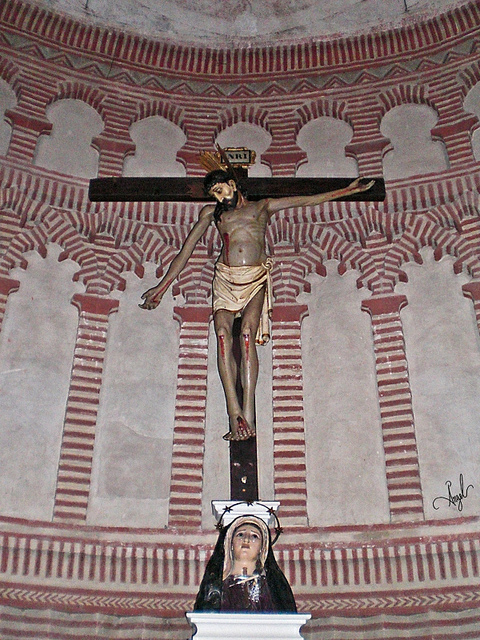 The tortures these martyrs endured were among the worst in the history of Christian martyrdom. The means included cutting off limbs joint by joint, ripping living bodies with red hot tongs, and the use of drugs to enslave the minds of the victims. Among the 117 Martyrs of Vietnam, 76 were beheaded, 21 were suffocated, 6 burnt alive, 5 mutilated and 9 died in prison as a result of torture.